Lois Jeanne Leighton, 78 of Heath, passed away peacefully on March 30, 2019 at Kobacker House in Columbus. She was born August 10, 1940 in Corning, Ohio to the late David and Mabel (Morgan) Frazier. Lois worked for Weight Watchers for 25 years and was a member of the Heath Church of Christ for 50 years. After retiring from Weight Watchers, she enjoyed spending time with her family, traveling, watching Nascar and camping. She and her husband were Coachmen members for nearly 50 years. She was known for “beautifying” anything she could with sparkles and bright colors. She is survived by her four children, Robert Leighton of Heath, David Leighton of Newark, Pamela Leighton of Columbus, and Angela Ernsberger (Phil) of Newark; five grandchildren, Jackie (Jeremy), Eric (Maggie), Jacob, Tyler, and Ally; four great grandchildren, Bentley, Bristol, Graham, and Collin; brother, Billy Frazier (Charlotte); and two sisters, Gracie Horn (Melvin) and Kathy Frazier. In addition to her parents, she was preceded in death by her brother, Davey Frazier, and her husband of 60 years, Robert Gale Leighton. Visitation will be Monday, April 1st from 4-7 PM at the Brucker and Kishler Funeral Home, 985 N. 21st St. Newark, where the funeral service will follow at 7:00 PM with Pastor Dave Mason officiating. In lieu of flowers, donations can be made to Kobacker House. Jodi L. Kinder, age 53, of Newark, passed away on Friday, March 29, 2019. She was born on June 16, 1965 to Hensel and Janice (McClain) Southern in Newark, OH. Jodi was a waitress all her life. She was always friendly to everyone she met. In her free time, Jodi liked to read and clean. She loved spending time with her family, spoiling her grandchildren and enjoying a meal cooked by her husband, Bobby. Jody is survived by her loving husband of 12 years, Bobby Kinder; children, Christin Walters, and Alex and Ross Barber; grandchildren, Kadden, Brooke, and Grace; and siblings, Rickie, Todd, and Brian, Southern. In addition to her father, she is preceded in death by her daughter, Jamie Lynn Barber, and brother, Fredrick Southern. A funeral service will be held at 10am on Friday, April 5, 2019 at Brucker Kishler Funeral Home, 985 N. 21st Street, Newark, OH 43055. Services will be officiated by Tony Bartlett and Jodi will be laid to rest at Cedar Hill Cemetery following the service. Family will greet friends from 5-7pm on Thursday, April 4, 2019 at the funeral home. 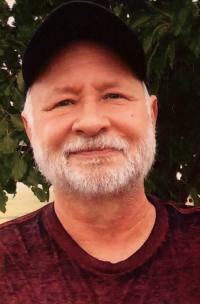 Terry Lee Jenkins born in Newark December 8, 1946 passed away suddenly Friday, March 29, 2019 at Licking Memorial Hospital. Terry was a life-long resident of Licking County and graduate of Heath High School, proudly served in the US Army during Vietnam, and retired from Newark Air Force Base and Boeing. 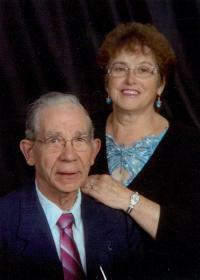 Terry was an avid hunter, fisherman, billiards player and longtime member of the Heath Eagles. Terry enjoyed keeping an immaculate yard, his annual fishing trips to Canada, and cooking a home-made pot of chicken and noodles. Terry was preceded in death by his beloved parents Lawrence and Helen (Maharg). Terry is survived by sister Judy (Jeff) Hardy of Newark, daughter Lana (Lane) Griffith of Lenoir City, TN, granddaughters Brooklyn, Reagan, Landry, and Hannah Griffith as well as niece Rolynda Tassan (John), and great-nephews Cedric and Trac Tassan. Graveside Military Funeral Honors will be presented by the Licking County Veterans Alliance on Tuesday, April 2, 2019 at 1:30pm at Barnes Cemetery. Family and friends may call from 11am-1pm at the Brucker-Kishler Funeral Home, 985 N. 21st Street in Newark. 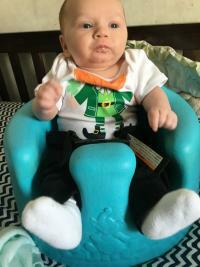 Dominic Cydel Karch, age 2 months, passed away Wednesday, March 27, 2019, at home. He was born January 29, 2019, a son of Casey Cannon and Jonathon Karch of Newark. In addition to his parents, he is survived by his siblings, Nevaeh, Ariella and Keena; grandmother Mary Cannon; grandfather Walter Karch; aunts Jeanne (Nick) Meadows and Ann Church, uncles, Jeffrey Cannon and Matthew Cannon. He was preceded in death by his grandmother Cheryl Karch and grandfathers Timothy Cannon and William (Bud) Swetnam. Family and friends may call from 1pm-3pm, on Sunday, March 31, 2019, at the Brucker-Kishler Funeral Home, 985 N. 21st Street in Newark. A funeral service will follow at 3pm, at the funeral home. Dennis Kenneth Bending, 69, of Newark, passed away March 21, 2019, at Licking Memorial Hospital. He was born August 6, 1949, in Newark, a son of the late Kenneth and Eva (Newsom) Bending. 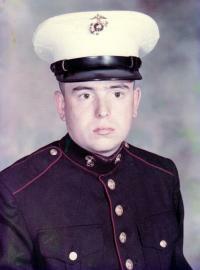 He served his country in the US Marine Corps during the Vietnam War and had been stationed in Japan. For many years he had played the drums for local bands. Surviving are his niece, Barb Clark; nephews, Bryan, Austin and Mason Bending; many cousins, including Cheryl and her family and several dear friends, Ron and Karen Campbell, Sherman Romine, Monique Pinkerton and Don and Paula Hatfield. In addition to his parents, he was preceded in death by his brothers, Larry, Ron and Randy Bending. Graveside Military Funeral Honors will be held at 1pm, on Friday, April 5, 2019, at Cedar Hill Cemetery Veterans Section in Newark. McConnelsville – Phyllis Mae Hardbarger, 92, of McConnelsville, OH, formerly of Newark, passed away Tuesday, March 19, 2019, at Highland Oaks Care Center, in McConnelsville, OH, where she had been a resident for the past five years. She was born Jan. 29, 1927, in Salem, New Hampshire, to Joseph and Marie George, who preceded her in death. Also, preceding her in death was her husband, Clarence Ray Hardbarger; her son-in-law, Carl Blackburn, of Malta; one brother, Wendal Chester George; and a sister, Ruth Fuller. Surviving are her six children, one son, Steven Ray Hardbarger, of Nashport; five daughters, Pamela Blackburn, of Malta, Claudia Boylan (Andy), of Newark, Julie Hardbarger, of Newark, Robin Piteo (William), of Knoxville TN, and Laura Yost (Robert), of Newark; fifteen grandchildren; 11 great-grandchildren; one sister, Ann Cockrell, of Columbus; one sister in-law, Margaret George, of Centerburg; several nieces and nephews; and a special friend, Linda Blackburn, of Malta. A Memorial Service will be held at 3 p.m. Saturday March 30, at the Kingdom Hall of Jehovah’s Witnesses, in Granville, with Steve Robinson, of Newark, officiating. Brucker and Kishler Funeral Home are in charge of arrangements. Dolly M. Stephens, age 102, of Sunbury, passed away on Monday, March 25, 2019. She was born on September 6, 1916 to the late Ralph and Elsie (Finnegan) Bernard in Columbus, OH. Dolly owned and operated Dolly’s Coffee Shop for many years. She was a long time and active member of St. Leonard’s Catholic Church. Dolly’s greatest loves in life were her children and God. She is survived by her children, Tom Stephens, John (Tamy) Stephens, Michael (Brenda) Stephens, Donald Stephens, Chic (Jerry) Looker, and Marie (Randy Gerber) Williams; 17 grandchildren; and 28 great grandchildren; and 5 great great grandchildren. In addition to her parents, Dolly is preceded in death by her husband, Jess Willard Stephens; children, James Stephens, Janet Geer, and Elizabeth Stephens; 2 grandchildren, Lisa Miller and Jessa Stephens-Cook; brothers, Ralph, Chuck, Johnny, and Mike Bernard; and sisters, Marie Colley, Rita Smith, and Margaret Bernard. A funeral mass will be held at 11am at St. Leonard’s Church, 57 Dorsey Mill Rd E, Heath, OH 43056. Family will greet friends for one hour prior to the service at the church. Dolly will be laid to rest at St. Joseph’s Cemetery in Columbus, OH at a later date. Services will be officiated by Father Bill Hritsko. A funeral service for Virginia A. Eckhart, 81, of Newark, will be held at 1:00 p.m. Thursday at Brucker and Kishler Funeral Home, with Pastor Bryan Grove officiating. Burial will follow in Wilson Cemetery. Family will receive friends from 12 to 1 p.m. Thursday prior to the service at the funeral home, 985 N. 21st St. Newark. Virginia passed away March 25, 2019, at the Selma Markowitz Hospice Care Center. She was born September 15, 1937, in Newark, to the late Kenneth Dale and Grace (Sasser) Geraldine Pierpont. 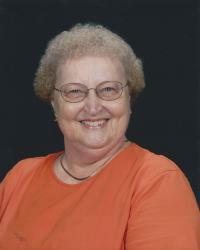 Virginia retired from the Defense Supply Center as an administrative assistant. She was proud to work at DSCC where she received employment awards. She was an active member of Maple Ave. Christian Union Church, where she served on the church board. She is survived by her sons, Jim (Cindy) West and Paul (Laura) Eckhart; grandchildren, Jessica (Al) Johnston, Kaitlin (Ben) Rader, Jennifer (Dwayne) Bushee, and Samantha (Ian) Eckhart; great-grandchildren, Aiden and Maxwell Johnston, and Adelie, Rhowan, and Calhan Rader; brothers, Rev. Dr. Kenneth F. (Dr. Jane) Pierpont and Charles (Rebecca) Pierpont; many nieces and nephews, and special friend, Harold Lee. 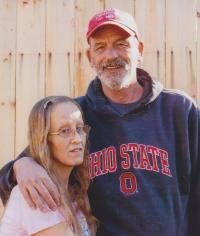 In lieu of flowers, contributions may be made to Hospice of Central Ohio, P.O. Box 430, Newark, Ohio 43058-0430. A funeral service for Samuel E. Staffey, 93, of Heath, will be held at 1:00 p.m. Friday at Brucker and Kishler Funeral Home, with Pastor Wally McLaughlin officiating. Burial will follow in Wilson Cemetery. Family will receive friends from 4 to 7 p.m. Thursday, at the funeral home, 985 N. 21st St. Newark. Samuel passed away March 22, 2019, at his residence. 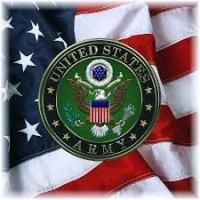 He was born October 11, 1925, in Zanesville, Ohio, to the late Samuel R. and Vera A. (Whorton) Staffey. Samuel was a WWII Army Veteran. He retired from Rockwell International. He is survived by his wife of 72 years, Wanda M. (Frame) Staffey, whom he married on December 14, 1946; children, Peggy Adams of Newark, Kathleen (Thomas) Gliva of Newark, and Raymond (Cindi) Staffey of FL; half sister Luella Staffey of Cambridge; half-brother, Ralph (Libby) Staffey of Cambridge; several grandchildren and great-grandchildren, and two great-great-grandchildren. In addition to his parents, he was preceded in death by his brother, Charlie Staffey and sister, Rebecca Galiher. In lieu of flowers, contributions may be made to St. Jude’s Children’s Research Hospital. Charles Frederick “Chuck” Disbennett Sr., 65, of Utica, died Sunday, March 24, 2019 at Licking Memorial Hospital. He was born December 6, 1953 in Newark to the late James and Clara Belle (Peck) Disbennett. Chuck worked as a mechanic and truck driver. He loved to build engines and was currently fulfilling a dream by working on his prized 350 small block 1992 Chevy Camaro that he named “Thunderstruck”. He enjoyed listening to music with his grandson Trevor, having parties, searching YouTube videos, having fun with family and friends, but most of all, he loved spending time with his grandchildren, family and passing along all of his knowledge and advice on life. He is survived by his loving wife of 25 years, Becky; four children, Charles Frederick Disbennett Jr., Todd Wayne Disbennett Sr., John Cody Disbennett, and Sarah Kay Bolen (Charlie); 13 grandchildren, Alisha, Jessica, Nikki, Justin, Amber, Todd Jr., Trevor, Brylen, Bayleigh, Trenton, Lexus, Cameron, and Kenzi; several great grandchildren; two brother, Donald Lee Disbennett and Terry Wayne Disbennett (Retta); two sisters, Patricia Marshall and Susan Vogelmeier (Jeff); several nieces, nephews also great niece’s and nephews; and his special four legged friend, Wally. In addition to his parents, he was preceded in death by two brothers, James Disbennett Jr. and Thomas Disbennett; and Rhoda Messina the mother of Charles Jr. and Todd. Memorial contributions may be made to the Family via Brucker- Kishler Funeral Home, 985 N. 21st St. Newark, Oh 43055. Visitation will be Thursday from 5-8 PM at the Brucker and Kishler Funeral Home.